There are three steamer juicer models that stand out from the rest of their competition. If you are looking for a steam juicer, these are the models to choose. Do you have children who go through juice faster than you can make it fresh? Are you worried about getting through a long winter without juice because fruit is just not available fresh in the off season? If so, then you may find a steam juicer highly beneficial. 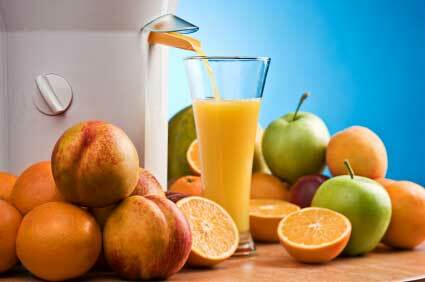 Rather than expelling juice through pressure, a steam juicer will expel juice with heat. This creates a sterile juice that can be placed in containers and stored in your home for long periods of time. The downside is you kill many of the enzymes and nutrients through the heating process. You will still get many nutrients and the juice will still be nutritious, so a steamer juicer is still better than store bought products. Besides steaming the juice out of fresh produce, you can use this Mehu-Liisa steam juicer to steam your lunch or dinner. 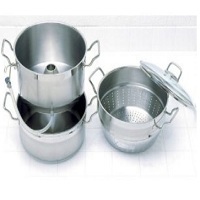 It comes with a 10.6 quart steamer basket which allows you to heat up larger amounts of juice all at once. The juice simply drops down into a kettle and from there you use the tube to drain it out into containers. You have fresh juice that can be stored until you are ready to use it. This is also a very attractive steamer juicer. It shines in all stainless steel with a lid and elegant tube coming out the front. Note: This is a product of Finland and comes with a 10 year warranty. This Cook N Home steam juicer looks much like the Mehu-Liisa model, but it has a 11 quart capacity. You place your produce in the top, water in the center, and then heat it right on the top of your stove. The heat travels up and produces the steam which allows the cells of your produce to open. This is how the juice drops down to the bottom so you can leak it out through the attached tube into your containers. The design is basically the same as the Mehu-Liisa steam juicer, but one difference is the aluminum-clad base. The rest of the juicer is stainless steel just like the other model. Either model is great for heating up large batches of sterile juice for immediate storage. Again, this Norpro steam juicer looks just like the other two models. It has the same highly effective design that goes right on your stovetop to apply heat which creates the steam. 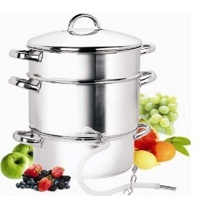 Just like the Mehu-Liisa model, you can use this to steam food and meals as well as creating juice. If you are interested in making juice in large batches all at once, this may be the better pick because it has a larger 11 quart capacity. 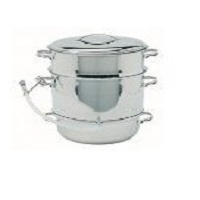 It is designed entirely of high quality stainless steel, so it looks great in the kitchen while remaining sanitary and functional for many years. Even if you have a standard juicer in your home which you use regularly, there are many uses for a steamer juicer. This is especially true if you also use it for steaming vegetables or meat for meals.